I’m definitely of that generation for whom the original trilogy was pretty much a defining event. I cried at the end of Return of the Jedi, not just because it was such a perfect emotional ending to the saga but because I knew that the story was over. I spent every spare penny of my pocket money on the toys and action figures. I think my generation was really fortunate to have Star Wars when they were growing up, it’s certainly no accident that it inspired so many of today’s biggest film-makers and storytellers. I know there’s been a thousand books and articles written about it but I really think it’s impossible to truly gauge just how big an influence those movies have had. Somebody once told me that each generation thinks the best era for pop music was whichever one they grew up with. I think that’s true of movies too. I’m a child of the 80s so I have a particular fondness for the movies of the 80s that had such a formative impact on me when I was a kid. So I totally understand that we have a new generation growing up now that loves the prequels in the same way that people of my generation love the original trilogy. 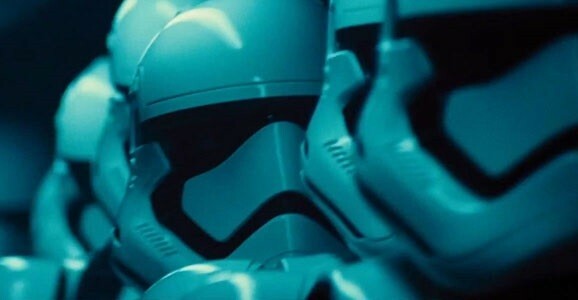 And soon there will be another generation that will no doubt love the new films that are being made now the most. I just urge anyone who is coming to Star Wars for the first time NOT to watch the films in chronological order. DO NOT I REPEAT DO NOT watch the prequels first. Watch them in the order they were made. When I first met my wife she had never seen a Star Wars movie so I thought it would be an interesting experiment to show her all six films in chronological order. She has still never forgiven me for that, and rightly so. Not only does it blow the Darth Vader reveal in Empire, it also blows what I think is often forgotten as just as great a reveal – that Yoda is not just some annoying little swamp creature but in fact a great Jedi Master. I think any time you’re dealing with something that has some personal significance to you, you instinctively approach it with a great degree of appreciation and respect. I grew up with Star Wars, it played a pivotal role in setting me on my lifelong course as a writer, so to have the opportunity to contribute a new piece to the ongoing legacy of that is both humbling and daunting. I don’t think I’ve ever worked harder on anything or with more conviction and commitment, and that includes my own original projects, which I never thought I’d hear myself say. If you ask my wife she’d tell you I was not the easiest person to live with while I was working on it because I was unable to think about anything else the vast majority of the time. 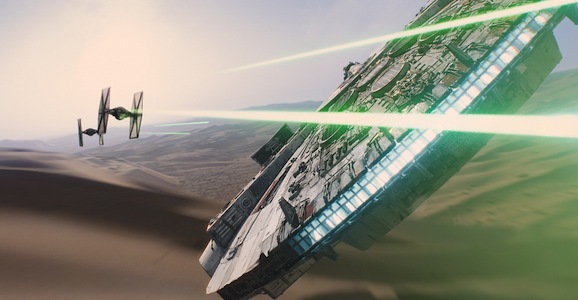 The first standalone Star Wars movie is set to blast into theaters in December of 2016. Oh man “interesting experiment”… I had the exact same thought with my teenage sister in law who was a fan of Harry Potter and the like but had never seen Star Wars. And indeed we did the same. That said the biggest problem was that the emotional impact of Anakin killing children and screaming “I hate you! !” before being burned up and finally becoming Vader was almost too much to handle. The poor kid may nearly have puked; I have never seen anyone so visibly shaken up by a film. She was of course aware of Darth Vader from pop culture but had no clue that Anakin Skywalker would become him. No matter how bad the “Luke I am your father” was I don’t think it was as bad as say the thought of Luke becoming an evil cyborg which is sort of what my sister in law witnesses.